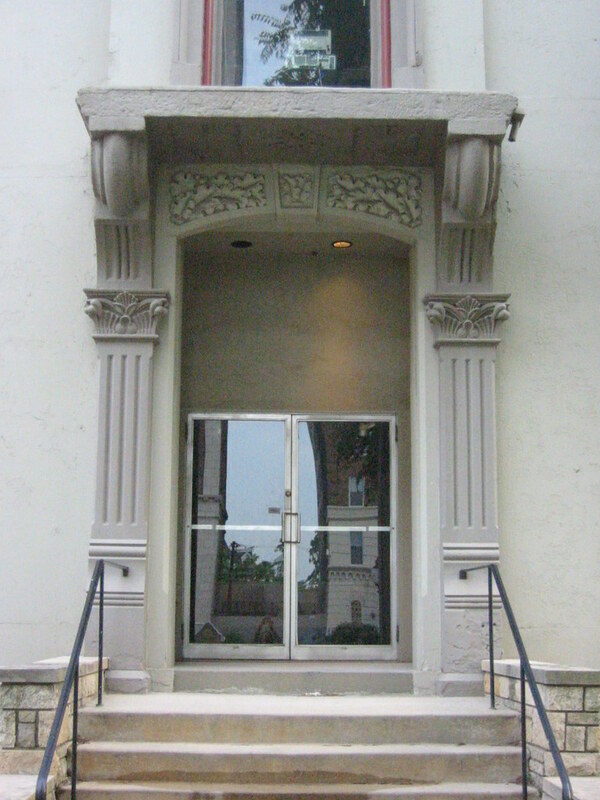 Since 1883 the demure Italianate mansion at 3740 Lindell Boulevard has stood witnessing the transformation of Lindell from Grand to Kingshighway from a tree-lined boulevard of grand homes of St. Louis' most notable residents to an eclectic mix of apartment buildings, hotels, various societies & religious institutions, businesses, as well the remaining mansions, which have been adapted for various uses. Monday evening however, the St. Louis Preservation Board voted to allow SLU to demolish the mansion to make room for an expansion and re-styling of its law school. In what amounts to an arbitrary choice of style, SLU is saving the more grandiose turreted mansion to the east known as the "Queens Daughters" building and demolishing the more reserved mansion next door. The absence of strong preservation minded members John Burse and Michael Killeen left a 3 to 2 vote in favor of demolition. Those voting for demolition were: Mary "One" Johnson, Terry Kennedy and David Richardson. 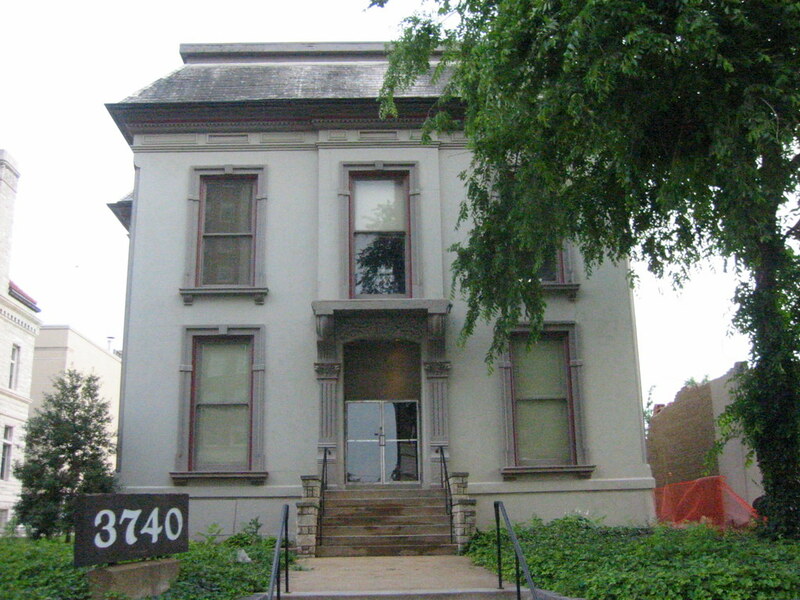 Barring an appeal of the decision, the 125 year old mansion will be demolished this summer. 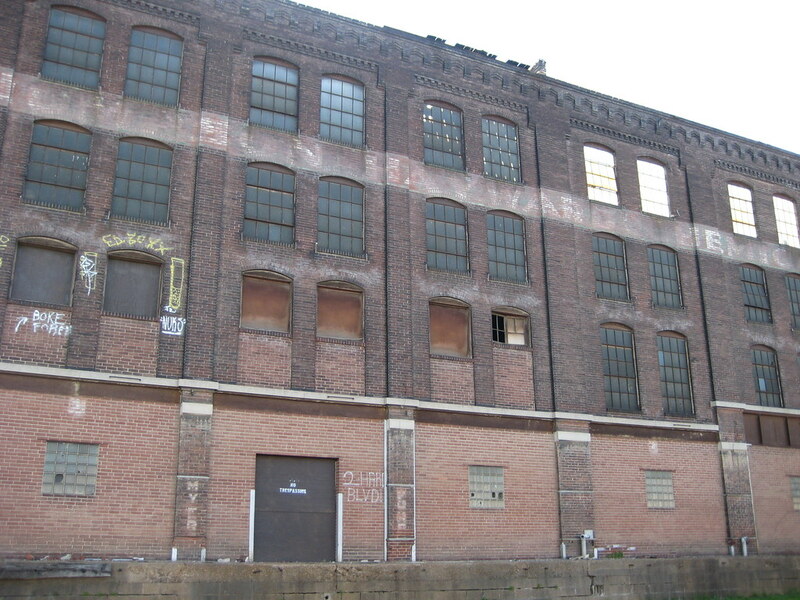 Also at Monday's meeting the board voted with the exact same 3-2 split to demolish the last full block of historic commercial warehouses on the St. Louis Riverfront. The three buildings, which are owned by the LCRA are located at 1101 N. Leonor K. Sullivan Blvd. (Wharf Street) between Biddle and Carr. A four story 1880's warehouse occupies the middle of the block with an older one story limestone cold storage building to the north and a two story warehouse to the south dating from the mid 1900's. The majority of St. Louis' riverfront warehouses were demolished in 1940 to make way for the arch grounds. 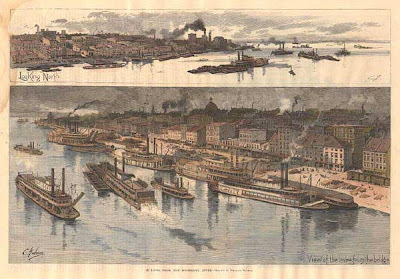 While many historic buildings remain in both Laclede's Landing and Chouteau's Landing, none remain along the river fronting on Wharf Street. North of the doomed block both the Laclede Power Company and the remaining north half of a cold storage lie along Wharf Street, but their addresses are on Lewis to the west. The massive Ahsley Street Power Plant is east of Wharf Street, kitty corner to the three warehouses. Unfortunately the warehouses lie outside the North Riverfront Industrial Historic District which includes the buildings to the north. While the one story and four story warehouses have some deterioration issues, such as a section of missing roof and some localized collapse of one wall, they are far from unsalvageable. 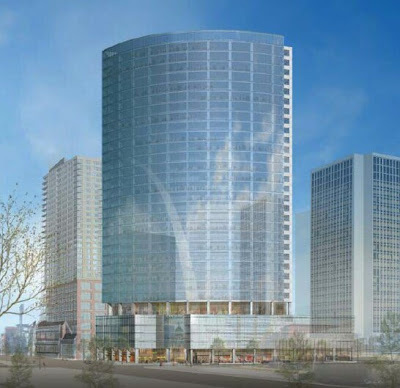 Monday, an official from LCRA insisted that their presence would impede phase 2 of Lumiere Place, which calls for several residential buildings, with some retail space. The funny thing about this is that according to an article in the December 28, 2007 issue of the Business Journal, the LCRA had put out an RFP for rehabilitation of the three warehouses that was due on January 25th. 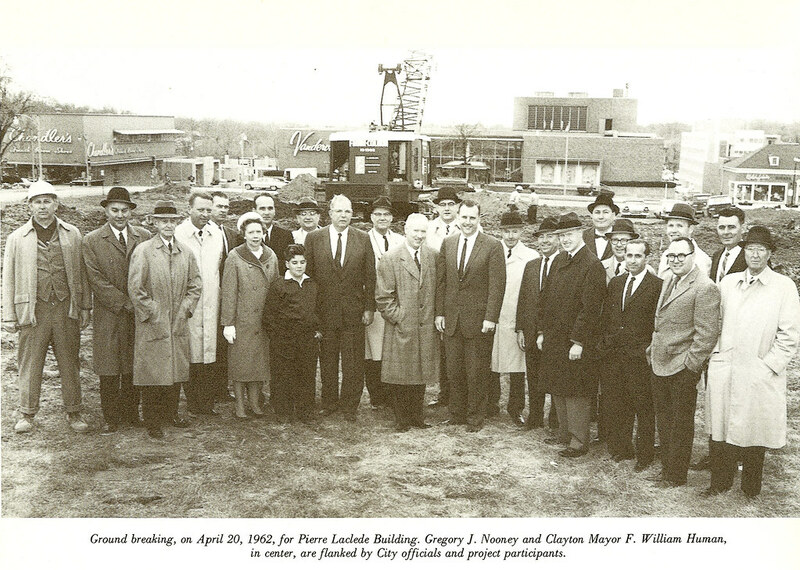 Once they did not receive any submittals, which is not too surprising given current economic conditions and the relative isolation away from re-developed properties, the LCRA suddenly deemed the buildings as in the way of development. However site plans and models that have been presented by Lumiere show the phase 2 development ending at Carr, south of the warehouses. Pinnacle has committed to $50 million in residential development. What they have shown south of Carr would easily satisfy this requirement. There have been no plans released for a phase 3 north of Carr... lets face it Pinnacle is a casino developer, not a residential developer. If these warehouses are indeed demolished, I predict that the site will remain a vacant gravel lot for up to a decade or more like the nearby Fresh Building which burned and it's remaining portion carelessly demolished in 2001. Next feature showing: Parking Lot. 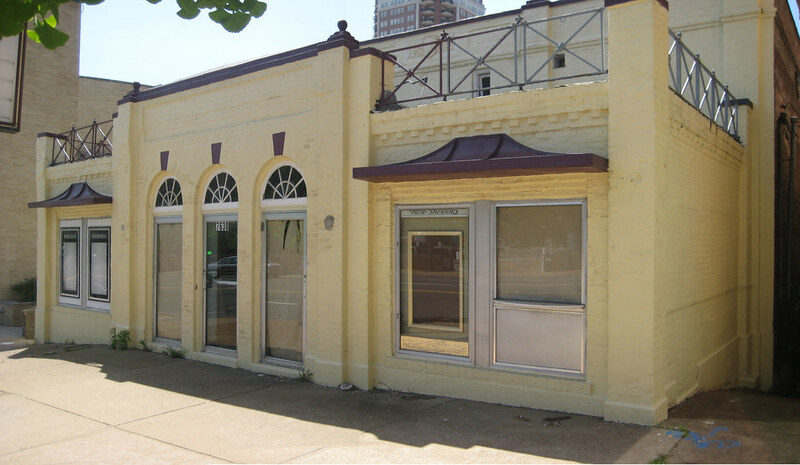 Recently the Business Journal reported that the new owner of the Shady Oak Theater has submitted a permit application for a demolition permit to make way for St. Louis' favorite building replacement, a parking lot for the building next door at the southeast corner of Hanley & Forsyth. 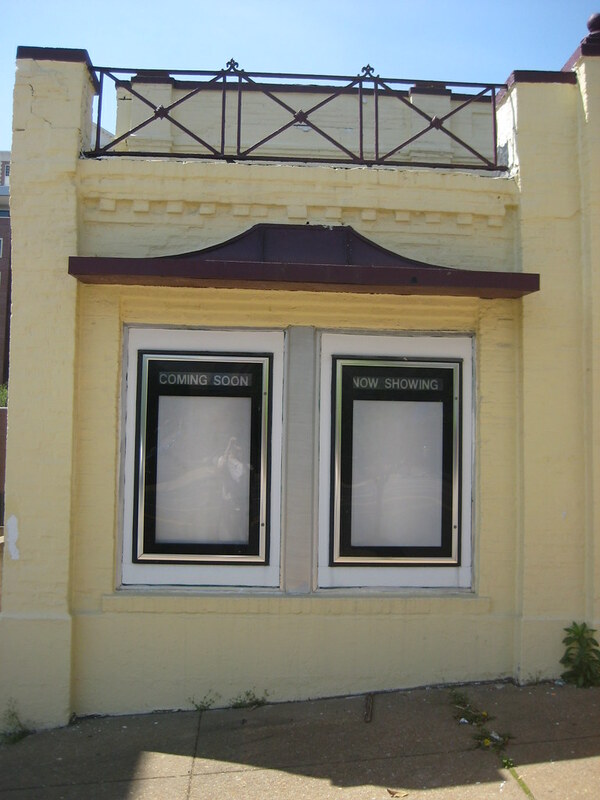 The theater, which was last operated by Wehrenberg, closed in 2002, but there were several ideas floated for adaptive re-use of the building including as a live theater venue, and most recently as a restaurant. The former owner had gone as far as lining up leases for parking spaces in a nearby garage and lot across Forsyth to serve the restaurant, but those plans unfortunately never came to fruition. Core 10 Architecture did an interior rendering of the proposal, which can be seen here. The colonial revival/art deco Shady Oak was built in 1933, and according to Cinema Treasures, took its name from an airdome (outdoor) theater next door that was shaded by oak trees. 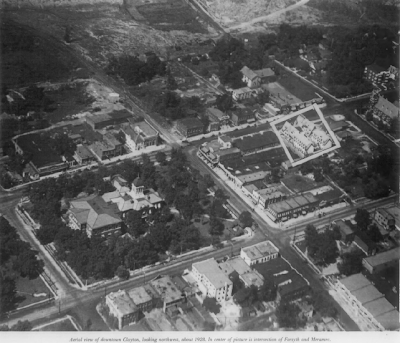 It is hard to imagine this when you look at Clayton today, but the image below taken in the late 1920's from a National Register nomination for the Seven Gables shows that Clayton was a very different place when the Shady Oak was built. 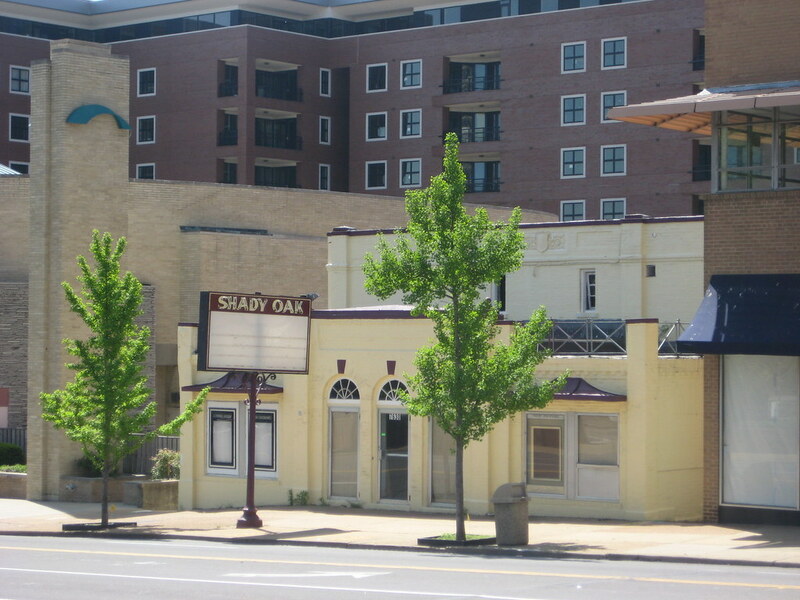 The Shady Oak was part of the Arthur theater chain, which also ran the nearby Hi-Pointe Theater. Due to the slope of the site of the building, the small lobby was entered at a mid-level with stairs going down to the main floor seating and up to the balcony. The ceiling of the auditorium had a decorative coffered look that was achieved with concrete poured over pan forms, which is kind of a pre-curser to the waffle slab technique that became popular in the 1960's. The old Regal Theater on MLK (subject of my next post), which also was demolished last year for a parking lot had the same type of ceiling/roof structure. This is probably my most unusual post yet, the loss of something that never existed. After recently announcing that they were canceling their plan to move to Downtown, Centene made the official announcement Tuesday that they would return to their original plan and build in Clayton at the corner of Forsyth and Hanley. 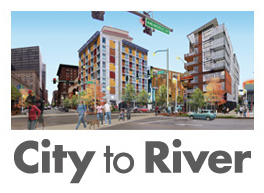 While this is no surprise, and there was speculation that this would ultimately occur before the announced cancellation of the Downtown plan, it is still a hard blow to the ego of Downtown St. Louis. Perhaps more than any event in recent memory, including the resurgence of a residential population, the new baseball stadium, or the movement of many other smaller companies to Downtown, the announcement that a major corporation was moving Downtown, building a new 30 story building (with possibly another in the future), and ultimately attracting 1,230 new jobs, was symbolically the sign that Downtown had after 50 years of decline again returned as the hub of the St. Louis region. office tenants leaving Downtown St. Louis for the Clayton. 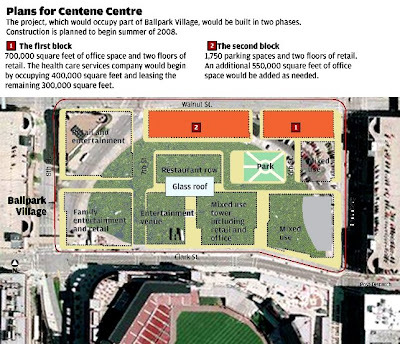 Now with Centene's headquarters, the recently announced redevelopment and expansion of Brown Shoe's headquarters, and several other large proposals on the boards, there will be some who will say that Clayton may well have taken that title. Much of Clayton however lacks the integration of office, residential, and retail/restaurant that has occured in Downtown's redevelopment over the last decade. This alone makes Clayton a less desirable environment than Downtown for living and spending time outside the corporate headquarters. A post today by Abby Wilson on GLUEspace focuses on a CNN Money article about a plan currently being implemented in Youngstown, Ohio. Dubbed Plan 2010, is essentially the decommissioning of the city, block by block in areas of the city that have decayed. 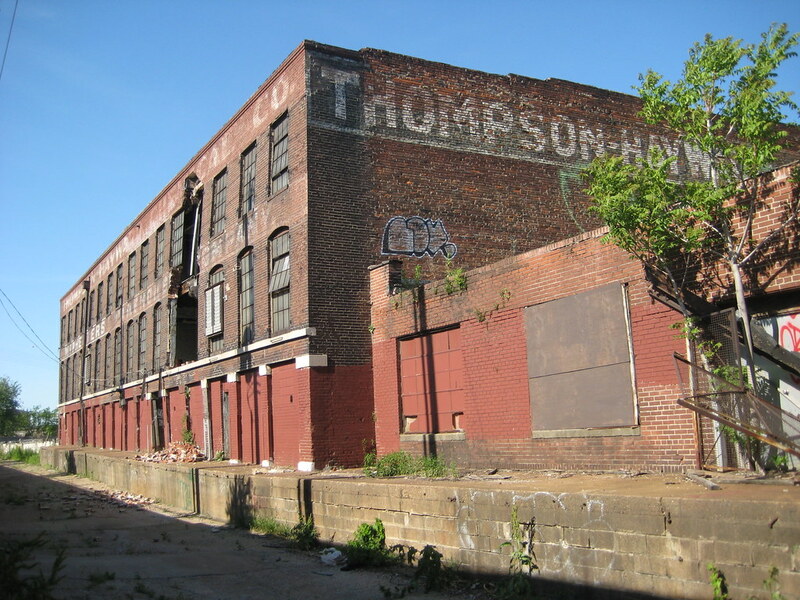 Abandoned buildings are demolished, streets and infrastructure are ripped out, and the area is returned to open green space in order to save money that would otherwise be spent to maintain the infrastructure. This is basically the "Team 4 Plan" officially adopted and put into action. Youngstown has given up hope that urban re-birth will ever occur and is pulling the plug. The really scary thing is that officials in other smaller rust-belt cities are coming to Youngstown to study the plan to see if it is something they should adopt in their respective cities.